Can a newspaper set the national mood or does it merely follow it? That is a question which editors have wrestled with since mass circulation papers came into being a century or more ago. I firmly believe the Referendum result has provided us with a definitive answer; the press (as opposed to the media, which includes supposedly impartial broadcasters) reflects then reinforces the views of its readers. A newspaper which believes it can dictate what readers think or how they should vote is doomed to failure – as we saw in the Referendum campaign, part of the reason people voted Leave was because they were tired of being preached to by people who thought they knew better, but didn’t. 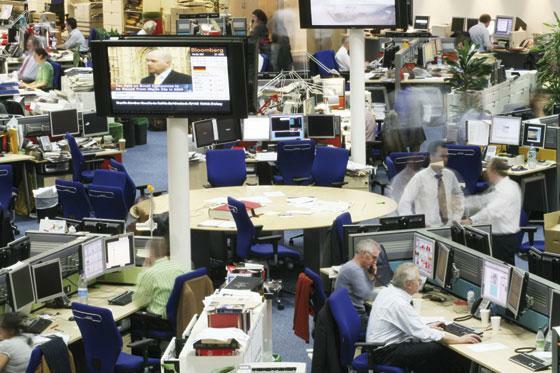 A newspaper that is doing its job properly is a living, breathing organism that has fresh oxygen pumped into it each day by the people who buy it. The answer to my opening question can be found in the reason most people buy a paper each day – because it is in tune with their beliefs and values, because it speaks with their voice and because it listens to what they have to say. The Referendum campaign demonstrated that perfectly; I cannot remember an issue on which the press was more polarised and, as the result showed, public opinion was so divided. There were few grey areas in the press and not many don’t-knows in the electorate. For 123 days in 2016, the Daily Express campaigned vigorously for Britain to vote to leave the EU. It was the culmination of a five-year crusade to have our membership put to the popular vote which began on November 25 2010. 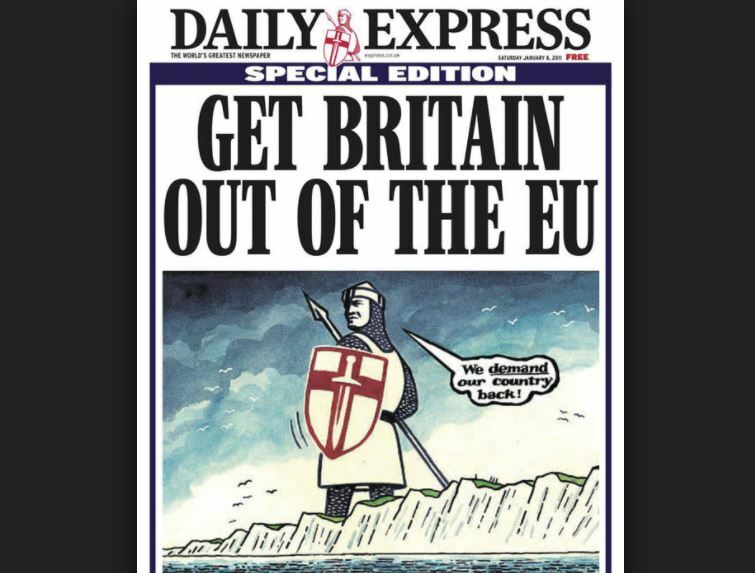 That day we ran a front page cartoon of the Crusader – symbol of the Daily Express – standing on the White Cliffs of Dover with a message that said: We Want Our Country Back. we could ride. I’d go further – on which we must ride. support for the UK Independence Party (UKIP) and in January 2011 we published a unique 24-page supplement carefully setting out the case for a UK withdrawal. Despite the implacable opposition of the three main political parties, support for our campaign grew daily and in October 2011, 81 Tory backbenchers defied a three-line whip to support a parliamentary motion calling for a referendum. By reflecting the views of our readers, we were able to influence the actions of MPs who recognised a powerful common thread between what appeared in our editorial columns and what their constituents were telling them in letters and emails. securing remarkable results in by-elections – so much so that on January 23, 2013, Prime Minister David Cameron had no option but to announce a referendum would be held if his party won the 2015 General Election. – more than the Lib Dems and the SNP put together – and on February 20, 2016, Mr Cameron signaled a victory for the Daily Express by announcing the Referendum would be held on June 23. Thus started the 123 days of the most significant and successful Daily Express editorial campaign in living memory. In the newspaper and online, front page editorials, news analysis and political commentaries totally captured the mood of the 17m-plus people who eventually voted for Brexit. Some other newspapers, belatedly sensing the rising tide of support for our campaign which had unleashed people power, tried to emulate us. While we were happy and flattered to indirectly receive their support, our five-year record demonstrated beyond dispute it was the Daily Express which had been, all along, the architect of an editorial campaign which brought about a dramatic political victory. There was no gloating triumphalism; no silly claims it was ‘The Express wot won it’, just a sense of relief we had delivered to the people who matter the most – our readers – the result they wanted, a result which went totally against the expectations of the Prime Minister, the City, the Bank of England, the CBI and much of the media, such as the BBC. of the Leave campaign might claim, it was not built on anti-EU stories about straight bananas or 27,000-word laws on the sale of cabbages. Its foundations were constructed out of what readers knew to be the truth – that the EU was the political dream of people they had not and could not vote for, that open borders meant the country had surrendered control and that laws for Britain should be made in the British parliament and administered by the British courts. I must be honest and admit some surprise the Leave campaign was, in fact, so positive and on the whole straightforward. While there is no doubt it reflected the fears of many people about immigration and loss of sovereignty, it was not as doom laden as the Remain campaign with its warnings of economic, social and political catastrophe if readers were crazy enough to vote Leave. following the Referendum, the fear factor was grossly exaggerated. 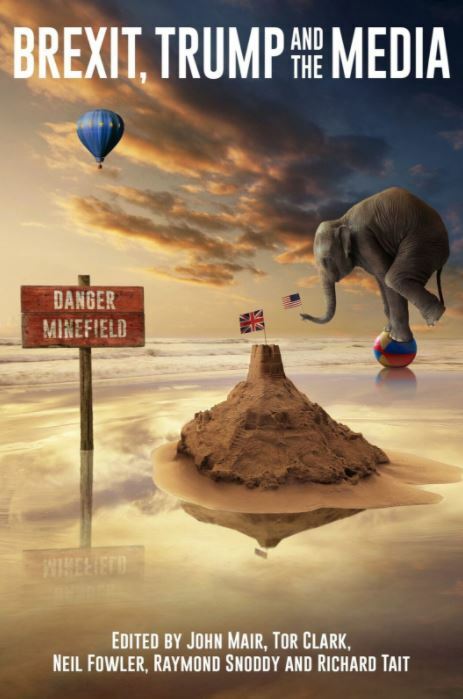 I hesitate to say we were lied to but many of my readers have written, phoned and emailed to complain bitterly about the misleading and mendacious half-truths they were bombarded with by the Remain campaign. If there’s one thing an editor who is doing his job should know, it’s that the people who buy the paper aren’t stupid. They aren’t easily conned, they don’t believe everything the Establishment tells them and they don’t cower in the face of bullying. effectiveness of their campaigning was in the variety of issues they covered in such a positive way. By doing this they were able to reach out and hold the attention of a wide-ranging audience. Those who backed the Remain campaign seemed unable to find any message that was upbeat. It became a constant daily diet of doom and gloom about the economy and one which resonated with fewer people. President Clinton may have pontificated about the big American election issue being ‘the economy, stupid’ but at my daily editorial conferences the agenda was much bigger. And we never doubted the intelligence of the people who were going to make the big decision about their futures. Equally, the Daily Express never once believed those who wished to leave the EU were in the minority in the UK. Our campaign, with its daily agenda of thought-provoking critical analysis and commentary, was designed to boost the confidence of Leave supporters that victory was possible, thereby ensuring a high turnout for the referendum vote. In fact, the turnout for the referendum was 72.2 per cent, eclipsing the turnout for the previous year’s general election of 66.1 per cent. So it’s fair to say the press on both sides of the argument did an effective job of stimulating public interest and action. The longer-term challenge was more acute. It was vital during our five-year campaign on traditional and digital platforms that our brand identity should be rigorously protected and enhanced. 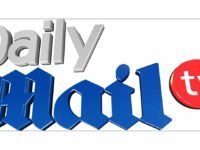 The multitude of messages about politics, economics and social issues had to be carefully co-ordinated so what the Daily Express proudly states is The Voice of Britain was always on-message. Almost all of the Establishment, and big business such as the CBI, was against the aims of our campaign, so we constantly faced powerful opposition on TV, in other newspapers and in hugely-expensive advertising campaigns. The Conservatives, Labour, Lib-Dems, SNP and Plaid Cymru were committed to securing a No vote in the Referendum. The Daily Express and its unswerving support for UKIP was constantly being denigrated by accusations of racism, xenophobia and a ‘Little Englander’ mentality. overwhelming and unfair criticism was a massive challenge which our editorial team took on every day. While the Daily Express could rely only on its own editorial resources, the Government spent £9.3m of taxpayers’ money on printing and distributing a glossy booklet to every home in the UK. Another challenge we had to overcome was the stream of opinion polls which were being produced throughout the campaign, all of which were given wide publicity throughout the media. gave a reliable indicator of the public mood overall and how individual issues were viewed by the electorate. The findings of our own polls directly influenced the content and tone of our campaign day to day. weeks before the referendum. And 220,000 people watched our live debate – held in front of a politically-balanced studio audience and chaired by LBC presenter Nick Ferrari – two weeks before the vote. This event was streamed on Facebook Live and on the Express website. In a high-speed modern world of instant communication via the internet, the Referendum showed the tried and trusted traditional method of putting words on paper is still devastatingly effective and, by working hand in hand with online partners, rather than seeing them as rivals for our readership, we can perform an even more powerful role in galvanising public opinion. Journalists can draw great heart from the way the Referendum demonstrated that powerful and consistent advocacy is the key to the success of any crusade. The public appetite for intelligent analysis is as strong as ever and that can only be good for the continued well-being of newspapers. Those who voted on June 23 to be free and independent were surely delivering a similar vote of confidence in the newspaper industry. Hugh Whittow began his newspaper career on the Western Telegraph and the South Wales Echo before moving to the London Evening News, the Daily Star and The Sun. 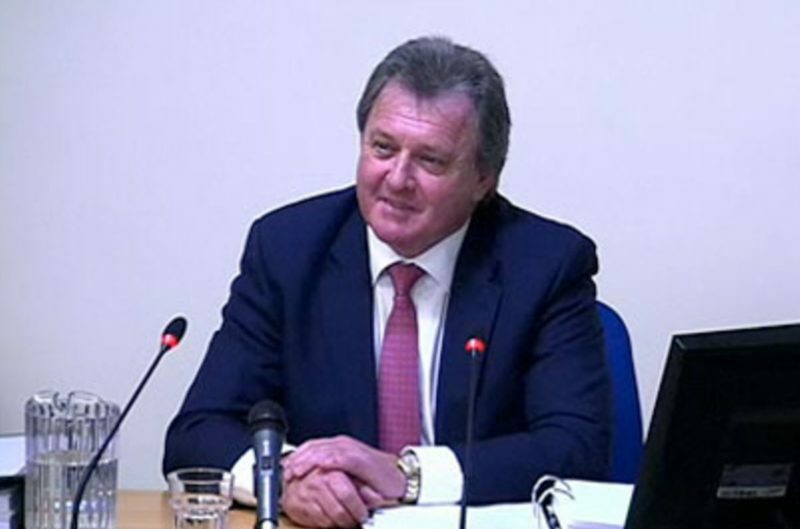 He became deputy editor of the Star, editor of the Daily Star Sunday and in 2003 deputy editor of the Daily Express. Since 2011 he has been the editor of the Daily Express. Every anti-brexit comment I have submitted to the Daily Express has been deleted. Daily express is the dumbest news agency in the world. Do not take anything you read from them as serious.